What is a violone? 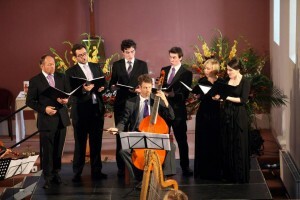 For most bassists, the term is encountered at the head of bass parts in music by JS Bach. A natural assumption would be that it was an earlier term for the double-bass, or a predecessor. But it really refers to the role, not the instrument, and as such is hard to define! As I understand it, the violone in an ensemble is the biggest string bass present, which was usually not in the contrabass range. It’s like Haydn’s use of the term “basso” on cello parts in string quartets. The suffix “-one” means big; viol+one means big fiddle. (The violino is the opposite: a small fiddle.) The suffix “-cello” also means small, so a violoncello is a small violone, and the instruments that previously played that violone role (cello-pitched viols and violins) were gradually outmanoeuvred by the cello after its perfection in the late 17th century. 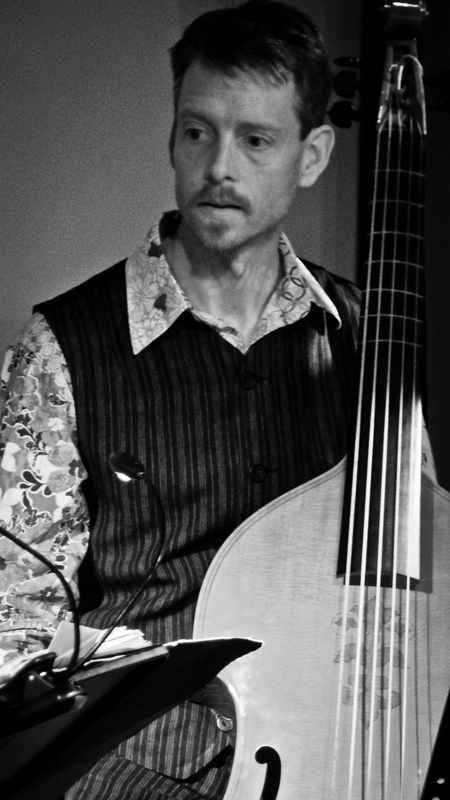 My violone is a large bass viola da gamba, bigger than a cello in body and string length. Being a gamba it has gut frets and more than 4 strings, nominally 6 but I have 5: C2-F2-A2-D3-G3. I have chosen to remove the low 6th (G1) in keeping with some historical references – it really doesn’t work at my string length of 80cm unless you use a metal-wound string. (This string technology is what allowed the cello to exist in its current convenient size but is not the sound I’m after.) It is a perfect continuo instrument for 17th century music, gorgeous with organ or theorbo, and blends beautifully with voices and violins. In some (mostly German-speaking) parts of Europe it was used well into the 18th century in roles that the cello filled elsewhere. 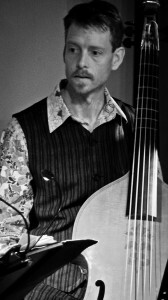 I also play the bass viol pictured at the top of this page, by Rene Slotboom in Utrecht. It has a standard D tuning, but the shape is far from standard, reflecting the fact that standardisation in viols is a thing we have imposed, being used to that in violin-family instruments. Viols were bespoke, made to fit the player and not a maker’s mould. This one, based on paintings from 500 years ago, fits me. My life as a viola-da-gambist has included lots of solo and trio sonatas by Handel, Telemann and others in groups like Armoniosa and Trio Quattro which I founded with my baroque-violinist wife Anita Vedres. The former included a lute instead of the ubiquitous harpsichord, which was lovely. The latter featured a recorder rather than a second violin, which was also lovely! 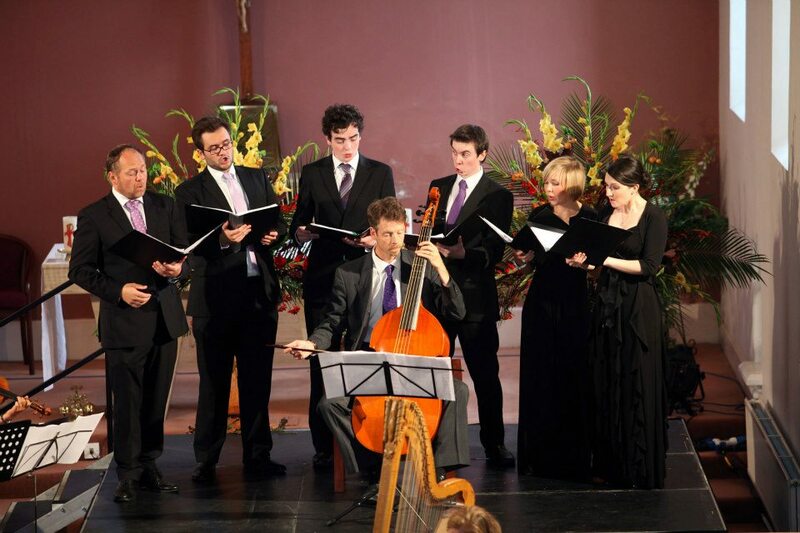 I am involved with a great young vocal group Sestina, playing mainly 17th-century repertoire. And with recorder-player Laoise O’Brien, baroque-guitarist Eamon Sweeney and polymath Francesco Turrisi on percussion I’ve been exploring the folksy side of the 17th century, including recording a fine CD, Sonnets for the Cradle and in our group the Gregory Walkers. In October 2016 I was the gamba soloist in Bach’s St John Passion with the Resedentie Bachkoor den Haag. The Irish Times once kindly described my continuo viol playing as demonstrating “a remarkable lyrical dexterity”.